This is so beautiful Sassy. You've created the perfect layout and details for that gorgeous image. Love her glittery bodice. This is very, very pretty and extremely elaborate! Do you make boxes to send your cards in too? Those flowers look like they would get squashed in a regular envelope! It would be a shame to spoil them. This is very beautiful! I really love the lace...it's so gorgeous. Sassy , this is truly beautiful. You have def captured the vintage look to a tee! Elegant and classy! Love the vintage feel! What a beautiful card! You have managed to make the color combination so very elegant! Thanks for playing along with us this week! Hope you'll join us again soon for some more challenge fun! Beautiful card!! Thanks for joining us this week at SSC! Very elegant card. Thanks for joining us at SSC. 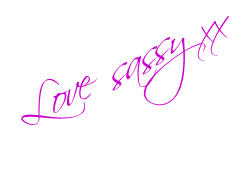 Hey Sassy lady!! WOW, again. You are amazingly talented....another real beauty!! I'm so happy that you have more followers now.....way to go! Your work is just beautiful and I never get tired of looking at your blog. Love your creativity and always look forward to seeing what you come up with next. Absolutley fab! Love the vintage feel to this card! Thanks for joining us this week at the Stamptacular Sunday Challenge! WOW! Such a beautiful card. Love that vintage look. Wow! What an elegant card!! Love the vintage look! Awesome job on the sketch! An utterly stunning card, so elegant and pretty. Thank you for sharing your card with us over on SSC. 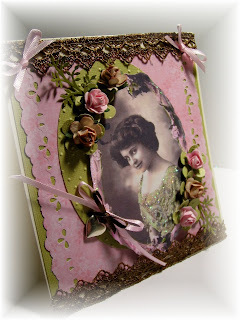 I just love the flowers and the image on this card. The colors are so gorgeous too. :) Thanks for playing along, I hope you'll join in for sketch #2.
wow !!! Oh My what!!! a fabulous card, I love it, and everything about it. It is so elegant, pretty and stunning. lovely card. Great colours. Oops on the image not being stamped hehe!! Oh wow, this is truly beatutiful!! Love everything about it! Gorgous image and details! 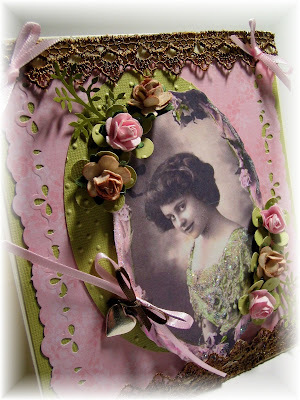 I LOVE this creation, the colors are fantastic and your embellies and lace are beautiful.